You can make a simple, tax-deductible donation to SFWA by clicking the donate button below. 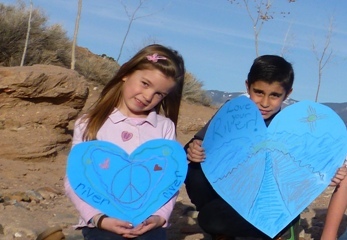 Thank you for helping protect our river, our water, and our future here in Santa Fe. What if we told you that every purchase you made on your credit card could benefit the work we do here at the SFWA? When you sign up for MyChange, you can choose to have your purchases rounded to the nearest dollar – with your spare change going to SFWA! For example, if you pay $3.60 for a coffee, MyChange rounds up your credit card purchase to $4.00, so that 40 cents is donated to SFWA. As they add up, your contributions via MyChange could have a significant impact on the health of the rivers in your backyard. Click here to sign up and support our community!